Catch up with our spoilerific Round table. 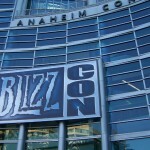 Fim and Nib are joined by Brajana from Mend Pet, Brigwyn from WoW.Com and The Hunting Lodge and Hydrargyrum from Almost Evil in a fascinating look into Blizzcon and the news of Cataclysm. UGT-Servers.com – UGT Servers! Ventrillo Servers for Your Guild!